Click to read Part 1, Part 2, and Part 3 of the story. The wind was fierce and the cold was numbing, but Pavel did not mind. It numbed the conflict in his mind, blocking out all but simple directives. Go to the castle. 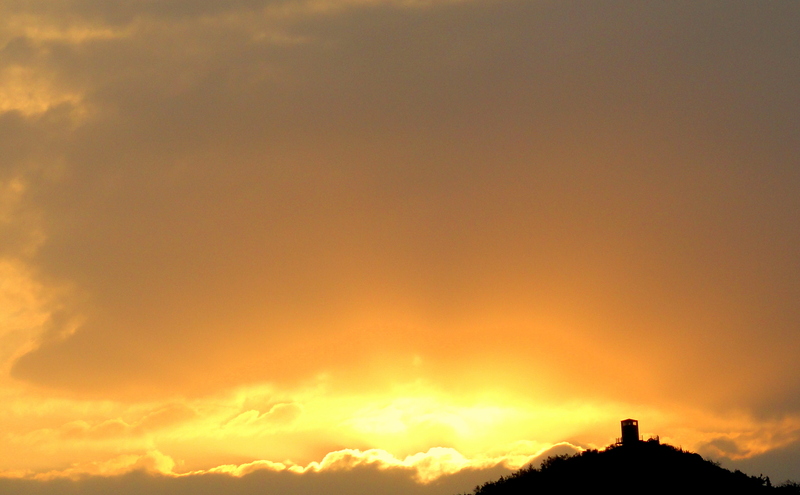 Climb the tower. Find the dagger. The streets were deserted as he made his way through the town and started up the wooded hill. He wondered where the creature—he still could not think of it as human, much less as his father—was now. 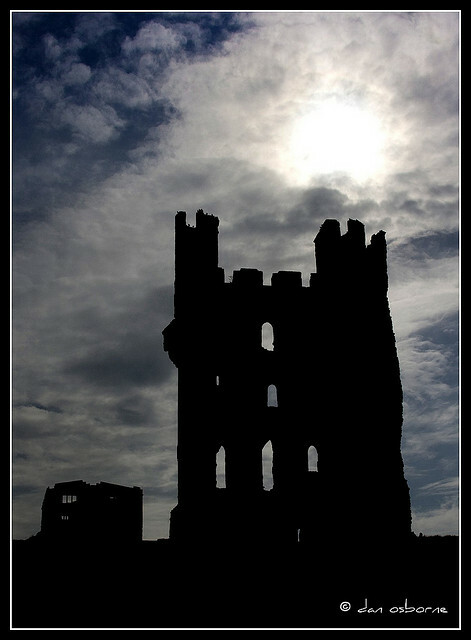 Inside the castle, he made his way up the steps of the keep and inside the unroofed hall. He had no light, but the full moon shone a phantasmal light over his path. Parts of the castle had been burned in the revolt, but the floor of the main hall was stone. He came to the high tower, its door splintered and rusted, and began to climb. The steps were wet with slime and circled up and up until they ended in a wide chamber. Its roof had been burned away and part of its walls were gone, but Pavel could still see the remnants of broken glassware and rusted instruments that had once filled his grandfather’s study. He wondered now if his grandfather had been a monster too, or if he had found a way of transforming his son into one before he died. Whatever the case, it had happened in this room. Pavel started searching, clearing away old bird’s nest and the accumulated detritus of fifteen years of exposure. He cut himself on a shard of glass, but kept going. His numb fingers were groping along the floor underneath a collapsed shelf when he felt the outline of a small box. He pulled it out and opened it. Inside was a dagger. Its handle and blade were black and a large ruby nested in the pommel. This had to be it. He made his way back down, stepping carefully on the pitch-black stairs. 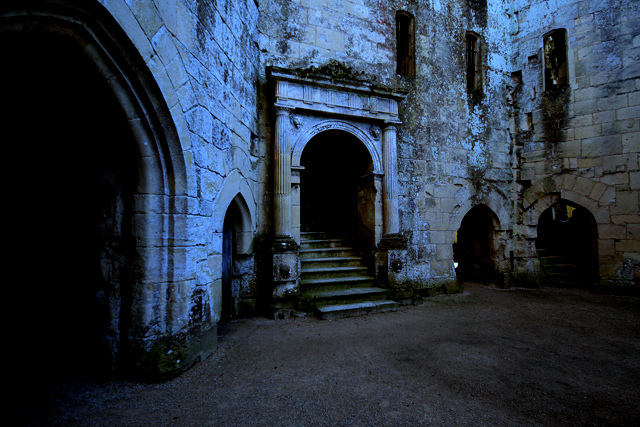 He had just stepped out into the courtyard, when a dark shape slipped through the gate. As it crossed into the moonlight, he saw that it was the creature. It had seen him and was shambling towards him with surprising speed. “Do it . . . son,” it rasped. “The mayor has . . . found me. He is coming. He will . . . imprison me again . . . if he can. Quickly . . . before he comes.” The creature pulled its thin garment away, exposing its skeletal chest. Pavel held the dagger, willing himself to strike. As he looked at the monster in the moonlight, he could see more of its features. He had never known his father, or seen a picture of him, but now he could almost imagine what he had looked like when he was a young, handsome man. For the first time, he saw it as a person, who had lived in tortures unimaginable for fifteen years: locked away, starved, fed human flesh and blood. This was his father, who needed him. He set the point of the dagger between the exposed ribs and pushed the blade into his father’s heart. The mayor drew his sword and advanced towards Pavel, who backed up the steps into the main hall. The mayor stopped and laughed. Pavel ran down the steps as soon as the mayor had left. He had to get back to help his mother, but he did not know how. The main gate was the only way out of the castle and he could see Wadim just outside the gap, spear in hand. He would have no sympathy for Pavel, not when it meant risking the mayor’s wrath. He looked down at the dagger in his hand, still wet with his father’s blood. He could not defeat Wadim with such a small weapon. All he could do was kill himself. Yes, he would kill himself, but not yet. First he would drink his father’s blood and be changed. Didn’t the mayor said it would make him strong? His father had been old and starved, kept weak by design, but Pavel was young and strong. He would go save his mother and then kill himself with the dagger, ending their unfortunate line forever. Pavel bent over the figure of his father. Dark blood was still welling up from the wound in his chest. He bent down and began to drink, sucking it into his mouth. It was cold and bitter, but burned like fire as it went down his throat. “It will not be for long, I swear,” Pavel said. “I must save my mother. Then I will join you and all will be finished.” He continued to drink, forcing down the foul blood until it stopped bubbling up from the wound. The first thing Pavel felt was the cold, as it seemed to melt away from him. He still felt the wind, but now it held no bite. He stood up and looked around. The darkness had lightened and he could see into every corner of the dark courtyard. A wave of strength came over him. He looked at the cut on his hand and as he watched, it closed and disappeared. A surge of joy went through him and he was off, running through the narrow gap in the gate, slipping past Wadim before he could even react. Pavel felt like the wind, moving effortlessly along the ground, devouring the distance. Ahead of him, he saw the mayor walking uncertainly down the path. He turned just as Pavel reached him and Pavel was glad to see the look of terror in the mayor’s eyes as he stabbed the dagger into his chest. “You will never touch my mother. This I promise you. And this is vengeance for my grandfather, whom you murdered, and my father, whom you tortured.” With each name, he stabbed again. The mayor collapsed, dead on the path. It was over. His mother was safe. Pavel turned the dagger to his own chest, preparing to end his own life. Then he stopped. It wasn’t over. There were still the thane and master of lands, both of whom were wicked men who had shared a part in his family’s misery. He would take care of them as well. But then? The town would be leaderless, defenseless against the next petty lord or robber baron who could seize it and use it for their own purposes. He could lead them well. He could do good, and help those who had been so oppressed under the mayor’s rule. He was, after all, the rightful heir. It was his duty. Pavel dropped his hand to his side and was turning to go up to the castle when he felt a vague discomfort in the back of his mind. It was a hunger for something he had never felt before. He remembered the taste of his father’s blood on his tongue, so repellent then, but now . . . now he had a need for it, a thirst. This entry was posted on Thursday, December 20th, 2012 at 1:00 am	and tagged with castle, creepy, fantasy, fear, fiction, historical, horror, Invitational Prompts, monster, vampire and posted in Dark. You can follow any responses to this entry through the RSS 2.0 feed. Well, this certainly isn’t my favorite genre, but you have written it well. I hope you get back to lighter themes. you are an amazing writer david, there is no spec of doubt about that! its one of your best till now! just loved it! 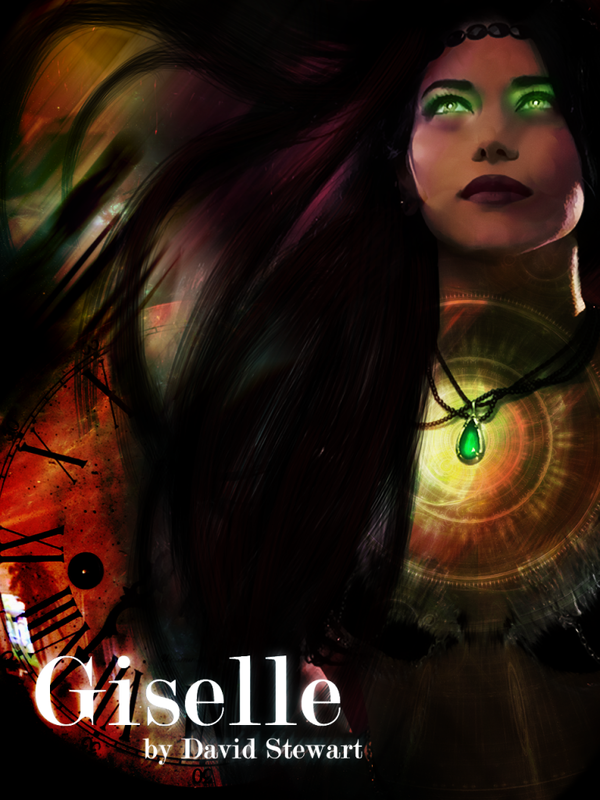 i was a bit curious how the vampire story will turn out, its so tough to write a good one! you have written an excellent one!